Carlotta Manaigo photographed Karlina Caune for the latest ad campaign of Rebecca Taylor. UPDATED MARCH 08th 2013: The cover model is Ben Hunter and photographed by Carlotta Manaigo. Click here to view last year cover featuring Tyson Ballou. 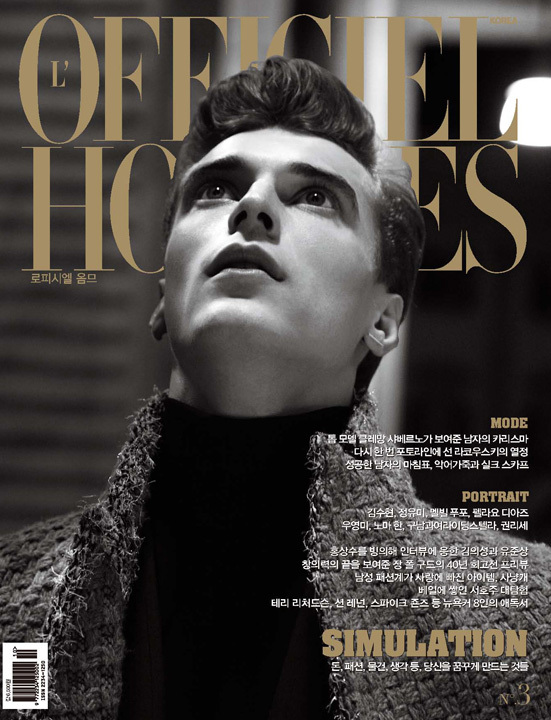 French top male model Clement Chabernaud look up to the stars for the October cover image of L’Officiel Hommes Korea photographed by Carlotta Manaigo and styled by Emil Rebek.